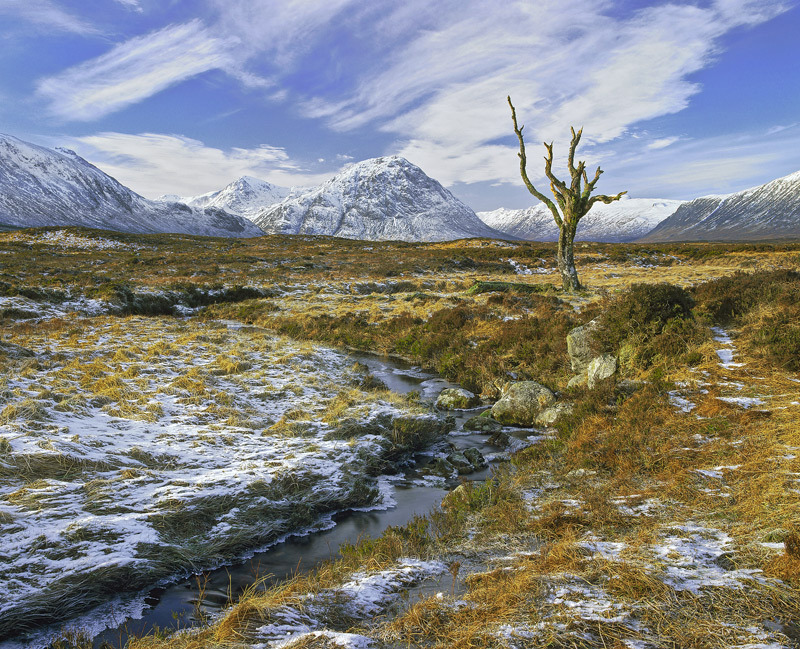 Blue Gold Splendour Rannoch Moor, Glencoe, Scotland. This lonely old tree is gradually losing its limbs and becoming ever more stunted. It stands proud and completely isolated a couple of hundred yards from the main A82 and has a wee stream meandering beside it. I think it is at its best on a crisp winter morning as here when the chill of a frost bites and a dappled blue sky with high cirrus clouds provides extra texture and a pleasing tapestry to the whole image.